A few short days ago Top Rank released the full bout list for their first live "Fist of Power" show from Shanghai. The card, which is scheduled to take place on August 26th, is set to be Top Rank's first show on the Chinese mainland. The card will kick off with a 4 round bout at Featherweight between Liu Yongcai (1-0-1, 1) and Xu Que (0-1). This is set to take place at 7PM local time and will be an all-Chinese bout, the only one on the show. Following the all-Chinese opener fans will get the chance to see unbeaten Chinese Light Heavyweight Qu Peng (5-0-1, 3) taking on Filipino Marlon Alta (12-4, 9), a former OPBF Middleweight title challenger. At the moment Boxrec.com list Peng to be fighting Joe D'Angelo (3-3-1, 1) of Australia though we'll be taking the word of Top Rank here. In the first 6 rounder of the show China's unbeaten Zhou Yun Fei (2-0) will be battling Australian visitor Marcos Amado (4-1, 2) in what looks like a pretty competitive bout between two men at the early stages of their career. The next listed bout is a "swing bout" which will be used to fill in a gap in the card should it be needed. This contest will feature China's Ma Yi Ming (10-5, 6) taking on Thailand's Morakote Patanakan Gym (8-4, 4). The main scheduled bout will be the shows first title bout and will see the always fun to watch Ik Yang (16-0-0-1, 11)* battling against Thailand's Sukkasem Kietyongyuth (13-2, 8) in a contest for the WBO Asia Pacific Lightweight title. This bout, scheduled for 10 rounds, should be the most exciting bout on the card though will likely be one-sided with Yang being a genuine wrecking ball at 135lbs. The main event of the card will be the second title bout and, easily, the most significant bout of the card. This contest will see Randy Petalcorin (21-1-1, 16) taking on Panama's Walter Tello (20-7, 8) in a about for the WBA interim Light Flyweight title. The bout, the most important bout in Petalcorin's career, looks like a tough one on paper despite the different records of the two men involved. We know Petalcorin is "supposed" to win though this is a genuinely tough test for the young Filipino. A second swing bout for the show is scheduled to between Thailand's Phompetch Twin Gym (6-0, 3) and the completely unknown Halimubieke (?-?). by completely unknown we really don't know anything about Halimubieke who doesn't appear to be listed on boxrec.com and Top Rank list as a fighter from "Unknown, China" with no record. What we do know however is that he's 20 years old and that his bout will be fought at Lightweight, making things interest as Top Rank list him as being tall and rangy. *Boxrec list Yang as 16-0-0-1 (11) Top Rank report Yang as 15-0-0-1 (9) we're unsure why the records are so different though we assume it's somthing to do with "Fightfax"
We've had very reliable information relayed to us to confirm that the much rumoured Top Rank show in October will not be taking place after all. From what we've been informed it sounds like issues regarding time and logistics made the show impossible to manage from Top Rank's point of view with the organisation said to have never come close to really making the show a reality. In reality we feel that Top Rank have been somewhat disingenuous with the whole project which has been rumoured since very early this year and show more than a sign of echoing a similar card from last year. In 2013 there was a set date for a Singapore show feature a number of Filipino fighters. This time there was no set date but Ryota Murata had had his name linked with the show from very early in the year signalling that "time" wasn't as big an issue as perhaps one would think. We also understand, from a Korean press release, that several Koreans were being spoken to about appearing on the card as late as mid June and that ESPN were also talking about the card in June. We won't go as far as to say Arum and Top Rank have been misleading the fighters and fans but we will suggest that the next time there is a rumour about Singapore and Top Rank we all take it with a grain of salt, much like a Mike Tyson comeback. We have however been informed that Top Rank will be holding another 2 Asian shows by the end of the year. One of those will be the well documented Macau card on November 22nd with Manny Pacquiao headlining the card against Chris Algieri. The other is a card in Shanghai on August 26th. From what we've heard this card will feature IK Yang in action and a WBA interim Light Flyweight title fight between Randy Petalcorin and Wisanu Kokietgym, though we are awaiting for the official confirmation the full details of the show. We have been reliably informed that the November 22nd Macau card featuring the next bout of Filipino superstar Manny Pacquiao (56-5-2, 38) will not feature Pacquiao's compatriot Nonito Donaire (33-2, 21), despite speculation to the contrary this past weekend. Donaire, who defeated Simpiwe Vetyeka (26-3, 16) via technical decision this past weekend for the WBA Featherweight "Super" title, had been mentioned for the co-feature of the Pacquiao headlined card though that idea was shot down by Pacquiao's advisor Michael Koncz. Although Bob Arum seemed to want the two Filipino stars on the same show Koncz has pointed out that Donaire wouldn't actually add much to the card considering his cost and that of an opponent. Effectively stating that the fan base of both are the same people and basically suggesting both men can fill the arena on separate cards. It seems that whilst we know Donaire won't be on the card we don't really know what bouts will be on it. We have had Pacquiao confirmed for the show and he will be defending his WBO Welterweight title, though his opponent is yet to be named with a lot of possible fighters being mentioned. One of those fighters, Juan Carlos Abregu (36-1, 29), has been "downgraded" as opponent according to one source who suggested that we should consider Abregu out of the running. Although no other fights have been announced there is a lot of speculation hinting at a contest between Zou Shiming (4-0, 1) and Alberto Rossel (32-8-0-1, 13) for the WBA Flyweight title as the chief support bout. Shiming does have a fight in the interim, on July 19th, but if he wins then this bout is apparently all but a formality from what we've been told. Other fighters expected on the card will be Rex Tso (13-0, 8) and Kuok Kun Ng (4-0, 2) though both have interim contests on July 19th, just like Shiming and, like Shiming, will likely need to win them to be featured on this show. American promotional giant Top Rank have announced that they will continue to target the Chinese market as they begin to work on a new weekly TV show for the Chinese audience. The promotional outfit headed by Bob Arum have been the first big Western promotional company to really try and tap in to the Chinese boxing market, something they've done by promoting shows in Macau. Those shows, which have features 2-time Olympic champion Zou Shiming, Macao''s promising Kuok Kun Ng and Hong Kong star Rex Tso, have shown that there is a market for being in China even if the audience isn't excatly in-tuned with the nuances of the sport. The show is expected to feature some interviews and some recorded action and act as both a promotional tool for Top Rank and an educational tool for the Chinese fans who are perhaps not as clued up on the sport as other fans. The show, which will be distributed through local channels, will be an hour long and begin airing in May with Shiming's wife, Ran Yingying, as the host of the show. 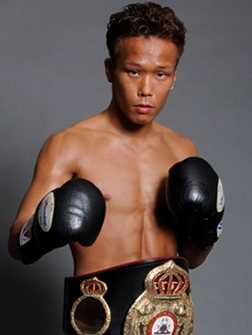 Former WBA Super Bantamweight champion Akifumi Shimoda (28-3-2, 12) has had a funny few weeks. Originally he thought he would be fighting against Simpiwe Vetyeka (26-2, 16) on February 22nd at the "Ring of Gold" card, then unfortunately the WBA demanded that Vetyeka faced the unbeaten Nicholas Walters (23-0, 19). The WBA's demand saw Shimoda losing his big chance. Thankfully Shimoda's promoter Teiken and American promoter Top Rank have managed to get Shimoda a fight on the card, and a high profile one, even if it's not a world title fight. Shimoda, instead of fighting Vetyeka, will instead be in the ring with Filipino "Marvellous" Marvin Sonsona (17-1-1, 14), a former WBO Super Flyweight champion. Sonsona, who won his world title back in September 2009, has been a man who has been frustrating to watch. He out grew the Super Flyweight division though failed to really make a mark on the Bantamweight division instead skipping 118 to fight at Super Bantamweight where he was beaten by Wilfredo Vazquez Jr in 4 rounds. Since that loss however Sonsona has strung together 3 straight wins. For Shimoda things haven't been perfect either. He lost his world title in his first defense, travelling to the US where he was stopped by the gun shy Rico Ramos, since then he has gone 5-0-1 with a draw to Roli Gasca. Whilst Shimonda v Sonsona may not be a world title bout it's still a title bout with the WBO international Featherweight title on the line, a title last held by Ukrainian sensation Vasyl Lomachenko. The winner will expect a lofty WBO world ranking at 126's and may well feel like they could end up in a world title fight by the end of the year. This may not be a perfect contest, but it's a solid bout and makes "Rings of Gold" even more worthy of a watch with the card now looking very strong.